Patterns for machine quilting range from simple to very complex. A quilter can, with experience, machine quilt very intricate, complicated patterns. But for the beginner quilter, a quilter new to machine quilting, or for a fast way to finish a project, there are easy ways to machine quilt patchwork quilts. 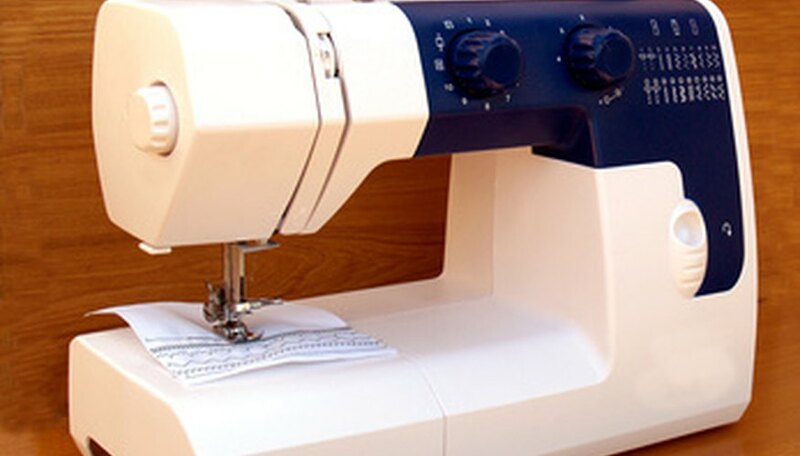 Many require no marking, making the whole process of machine quilting very quick and easy, allowing the quilter to finish projects quickly. One of the easiest ways to machine quilt is to simply quilt-in-the-ditch, which is to stitch within the ditch left by the seams as they come together in the patchwork. Gently stretching the seam down and apart, coaxing the stitches to show, machine quilt directly on top of the seam stitches. Releasing the tension after quilting, the seam, or ditch, will swallow up the quilting stitches, leaving just the puffiness on either side. Outline quilting is easy. Machine quilt 1/4-inch inside each patchwork piece following the seams within the quilt blocks using the edge of the sewing machine foot for ease of measurement. Echo quilting, mimicking ripples in a pond after tossing a stone, is an easy way to machine quilt. Quilt a line of stitching 1/4-inch from a seam or applique. Repeat with a second line of quilting stitches approximately 1/2-inch away from the first line. Repeat as many times as desired, increasing the space between the lines, echoing the stitching as it radiates from seam or edge of applique. Select a patterned backing for the quilt that coordinates with the feeling or subject of the quilt. Overall scenes, flowers, leaves, meandering patterns and geometric motifs, such as dots or stripes, are just some things to consider. Machine quilt with the backing up and just follow however much of the pattern as desired, outlining leaves, dots, etc. so that the pattern shows in thread on the top of the quilt as another layer of design.